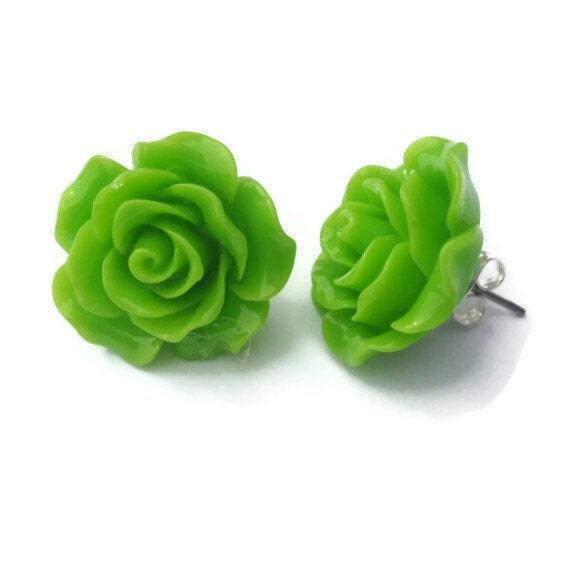 These green rose earrings are a fun and fresh take on a classic style. 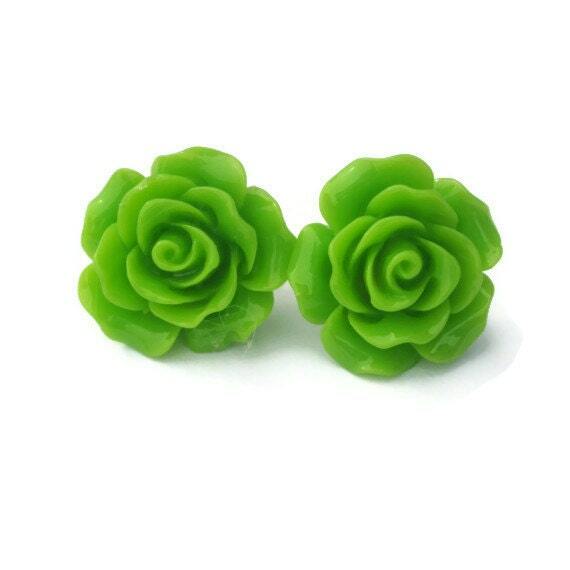 The lime green roses are large at 20 mm and yet lightweight. 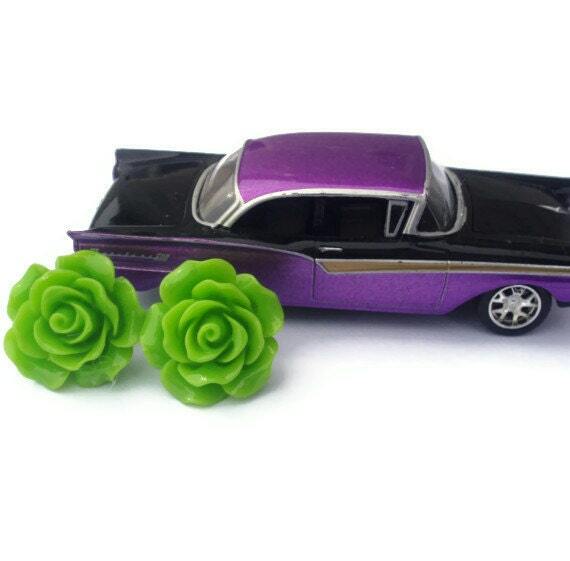 Roses are made of durable resin and secured to a nickel free stainless steel post. 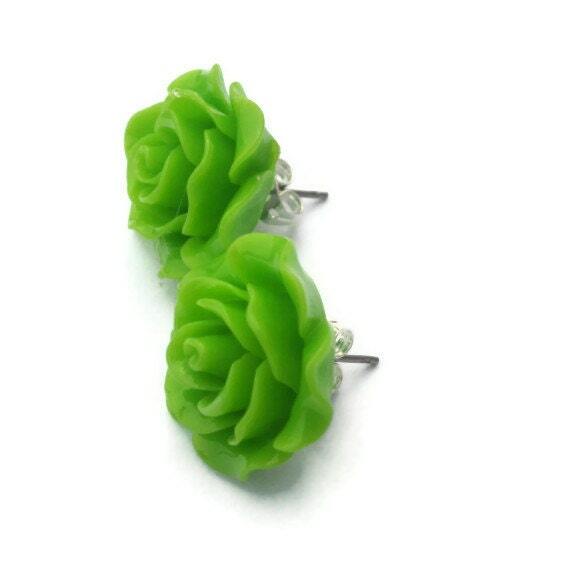 Earrings come with earring stabilizing backs for comfort and to hold the earring snug to your ear. This versatile style easily transitions from dressy to casual. Matches perfectly!! Can't wait to wear them! thank you!! Perfect Color! Fast Shipping! Thanks!